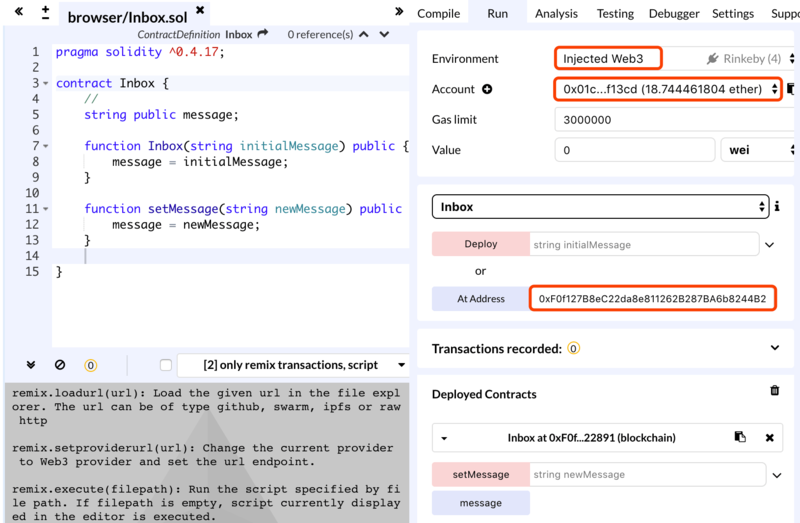 // export the smart contract bytecode and interface, which are used to create or deploy a contract, interact with the contract. // use web3 module eth, and the function Contract of eth module. // in blockchain or deploy a new contract instance. 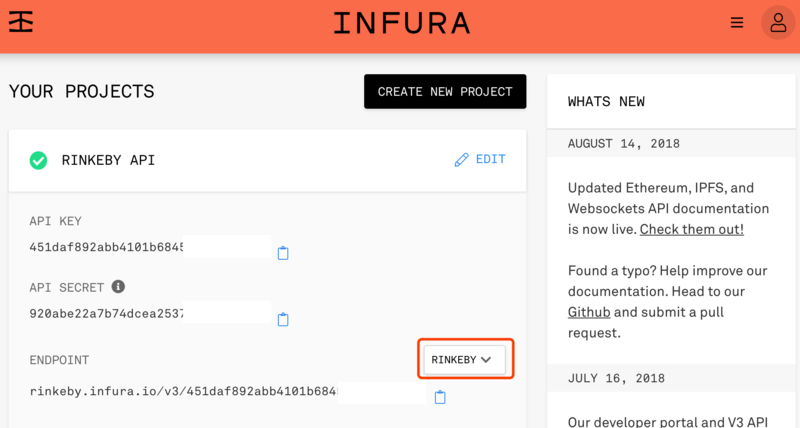 Infura API: provide the interface of real ethereum block chain. Provider: a interface layer to communicate with real block chain using your account. Go to infura.io to creata a new account and project. 'https://rinkeby.infura.io/v3/451daf892abb41***' // block chain api, you can obtain this from infura.io website inside your project. copy 0xF0f127B8eC22da8e811262B287BA6b8244B22891 to rinkey.etherscan.io to see the results. copy 0xF0f127B8eC22da8e811262B287BA6b8244B22891 to At Address, and click. 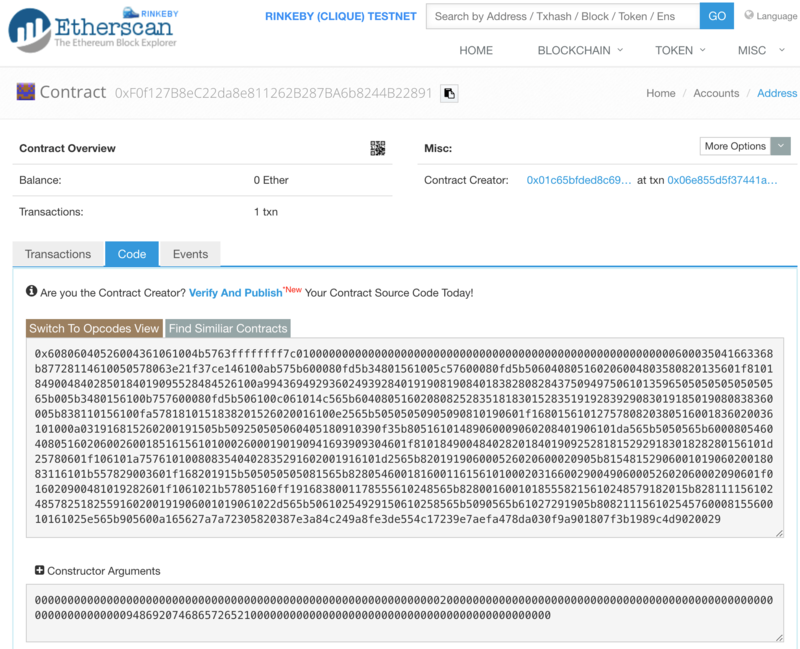 You will see the contract deployed in real ethereum network. You can then try to setMessage, for example: ‘Test real ethereum’. After your submition, the transaction will be in pending state. While in the pending state, the value of message will not change. 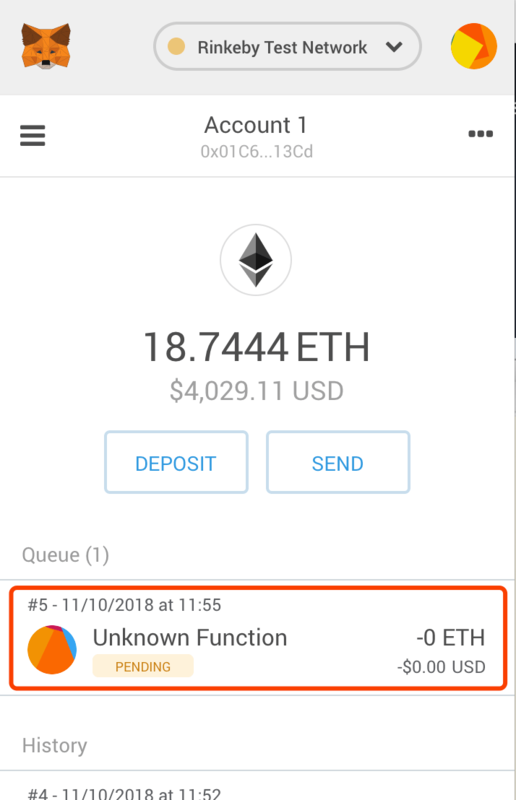 After the transaction is confirmed, message function will return the new value: ‘Test real ethereum’.